It's less than two years since Standard Chartered paid a fine for breaking U.S. sanctions on Iran. In the small print of its earnings statement Wednesday, the bank said it was expecting another U.S. fine related to failings in its anti-money laundering controls. "The group believes that the resolution of these issues is likely to involve an enforcement action by the New York Department of Financial Services," it said. In addition to a fine, that would mean another two years of intensive scrutiny by an independent monitor appointed as part of the 2012 settlement, and other remedial measures. Standard Chartered (SCBFF) is a major global bank, based in London, but does most of its business in Asia, Africa and the Middle East. It has offices in the United States, subjecting it to U.S. banking laws and regulations. It paid a total of $667 million in penalties to U.S. authorities in 2012 for breaking sanctions on Iran, Burma, Libya and Sudan, and to settle money-laundering charges. Back then, it said it had completed a comprehensive upgrade of its compliance systems. 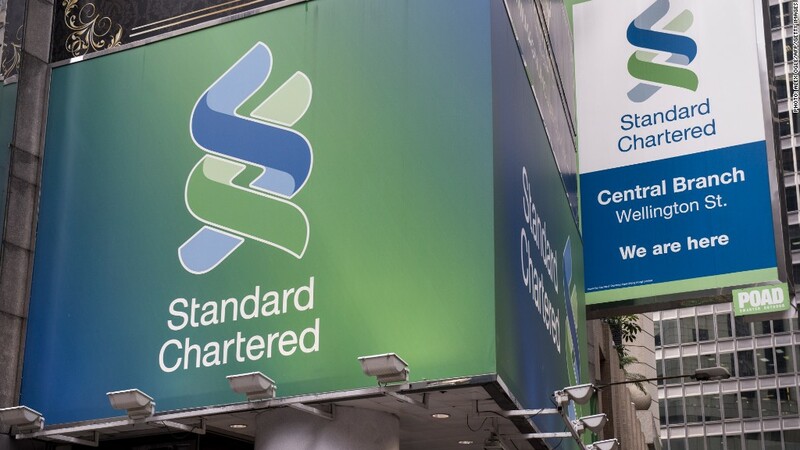 Standard Chartered said Wednesday it was "executing a comprehensive program of change to raise the bar on conduct," and was hiring senior experts as part of a 30% increase in the number of employees working on legal and compliance issues. Rising costs were one reason for a 20% slide in pre-tax profit at the bank in the first half of the year. Problems at its Korean operations, exposure to commodity fraud in China and losses on investments made before the financial crisis also dragged down earnings. Shares in the bank were trading 1.7% weaker in London, taking losses for the year to 12%.